1000 Sachets of ORS powder. Used for rehydration following frequent loss of fluid due to diarrhoea. Sachets of oral rehydration salts, 20.5g to make 1 litre of Oral Rehydration Solution (ORS). Contents is in line with the 2010 WHO recommendation. This has a lower glucose concentration to allow for quicker absorption of fluids, reducing the need for intravenous fluids and making it easier to treat children with acute diarrhoea without hospitalisation. 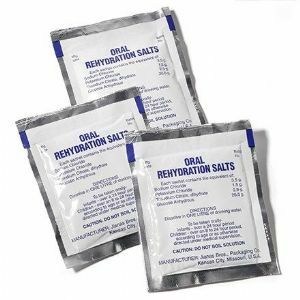 In many instances medical agencies, governmental or NGO, may be providing Oral Rehydration Salts. Is not appropriate to distribute ORS without providing adequate information for its preparation. Its use and distribution to individual families should not be undertaken without first seeking the advice of a Public Health Promotion Advisor. Distribution to clinics may be a more appropriate strategy if ORS is in short supply. The national policy for the provision of ORS must also be adhered to. It is estimated that 1000 sachets is sufficient for a population of 5000 people for 3 months. No special precautions as regards temperature. Particularly sensitive to humidity. Do not use if the powder has taken on a pasty consistency and turned yellowish-brown. Use made-up solution the same day. The specified amount of ingredients must be diluted in the correct amount of boiled cooled water. A too diluted solution may be less effective and a too concentrated solution may be harmful. Oral rehydration salts may be used as long as they are still in the form of a white powder. Moisture turns them into a compact mass, brownish-looking and insoluble. If this occurs, they are unfit for consumption whatever their expiry date. Ensure that the packaging is water impermeable, especially if they are to be used in flood response, this is to ensure that content is intact even if the sachet mistakenly falls into water. Carefully check composition as it may differ from the WHO or country recommended one. 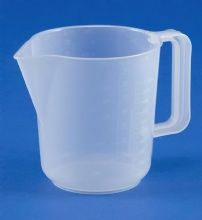 (Some presentations exist to be diluted in 0.5L or 5L of water). Ensure that the content complies with specification above.